If there’s ever been a greater advertisement for ditching meat and animal products in favor of a vegan lifestyle, these three senior citizens have got to be it. Meet 78-year-old vegan male bodybuilder Jim Morris, who is PETA’s most senior pin-up. Each of them has an amazing story and are shining examples of what eating right and exercising can do for your health and appearance. Jim Morris is a 78-year-old vegan body builder, seen posed below in a replica of ‘The Thinker’ statue for PETA when he was 77. This picture promotes Jim’s ‘Think Before You Eat’ campaign, which encourages viewers to “muscle your way to better health” – and a reduced risk of obesity, heart disease, cancer, diabetes and strokes – by going vegan. 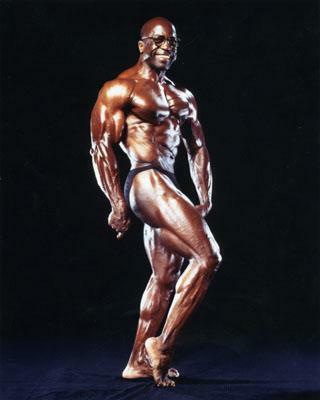 Jim says that his health greatly improved after he retired from competitive bodybuilding in 1985 – which is all down to his decision to become vegetarian and, later, vegan. Read the entire story on Huffington Post. Though not a vegan, Ernestine eats LOTS of vegetables and sticks to a demanding exercise schedule. Her daily workout routine includes waking up at 2.30am every morning for a 10-mile jog before hitting the gym for weight training. Ernestine’s diet centers around plain brown rice, eggs, chicken breasts and lots of vegetables. She actively motivates and preaches the importance of exercise and health to her church mates and community. Currently 77 years old, she looks a lot better than women half her age or even younger. Learn more about Ernestine in a recent interview with Prevention Magazine. 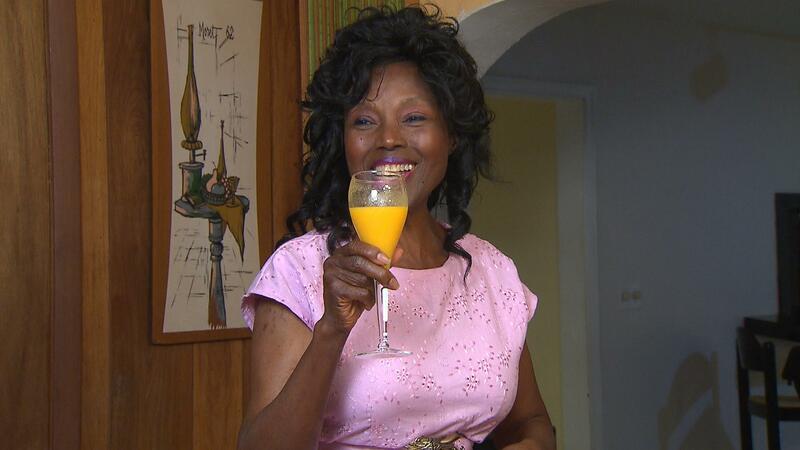 When Annette Larkins goes out with her husband of 54 years, people assume she is his daughter. She is the image of health, vitality and youth in a petite size four body. Though her face is devoid of lines and wrinkles and she looks to be no older than 40, the fact is that Annette Larkins is 72 years old this year. The resident of Miami-Dade County, Florida, attributes her youthful looks to her raw vegan diet and grows almost everything she eats in the garden she refers to as her ‘fountain of youth’. During a visit to her home, ABC News reporters explored the back yard, every of inch of which is covered in plants and trees that grow the fruits and vegetables Mrs Larkins eats. Annette admits that she didn’t always follow such a healthy diet. Her husband of 54 years, Amos, owned a meat factory in the 1960’s and it was around this time that his wife decided to go vegetarian. Twenty-nine years ago she took it one step further by turning vegan, and now everything she eats is raw. Nothing cooked or processed ever passes her lips. Mrs Larkins also juices her fruits and vegetables and collects rain water to drink and to water her garden. For his part, Mr Larkins wishes he had followed his wife’s example. Looking considerably older, with gray hair and the bloated midsection common with senior African American men, he also takes prescription medicine for diabetes and high blood pressure. Annette is on no medication and won’t even take an aspirin. See the ABC video interview of Annette talking about her amazing lifestyle below. Linda believes that there is a lot of back and forth about nutrition, supplements and what we should or shouldn’t eat that changes from year to year. She adds: “However, there are some basics that remain the same. We do need supplements added to our daily diet because so much of our food is processed that we do not obtain the full nutritional value of them. Secondly, the one food group that the majority of Americans do not eat enough of is vegetables. Third, heart disease is still the number one killer in America and there are supplements that do benefit our cardiovascular health along with a daily exercise regimen. Though I couldn’t find anything in written form that definitively identified Linda as a vegan, her position on the importance of vegetables stands out. Just wanted to say how motivational this is to me! It’s proof that a healthy lifestyle and good eating habits can prevent the onset of what many claim age brings with it… ie bad skin and medical problems. Also wanted to appreciate these beautiful people publicly and say thanks for being such strong models for the younger generations. I hope the kids turn and look at you and what you have accomplished instead of heading down the paths that media and music promotes these days. Thanks again! Truly inspiring.